Rocket boy Jet Jones faces robot forces closing in on the Taylor farm from all sides in an epic final battle to save the lives of those he loves. As an unprecedented robot force closes in on the Taylor farm, Jet Jones must embrace his true identity if he’s to defend the family he loves. His years of running have led to this, an epic final battle where Jet will face his past and future head on for the safety of the Taylor family and the right to choose his own path. 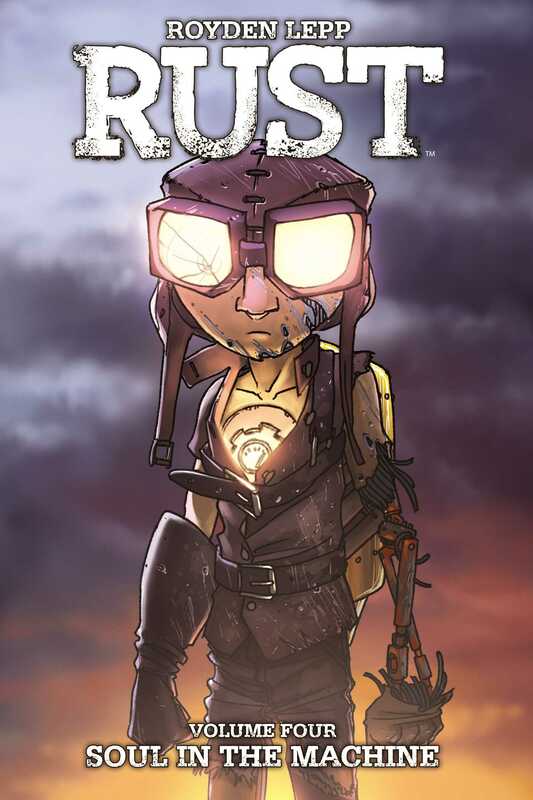 Royden Lepp’s Rust: Soul in the Machine is the breathtaking final installment of Jet’s adventure and the greatest challenge the rocket boy will ever face.